The Cathedral (Polish: Katedra) is the title of a science fiction short story by Jacek Dukaj, winner of the Janusz A. Zajdel Award in 2000; and of a 2002 short animated movie by Tomasz Bagiński, based on the story, made in 3ds max . The film was nominated in 2002 for the Academy Award for Animated Short Film for the 75th Academy Awards. The movie won the title of Best Animated Short at Siggraph 2002 in San Antonio as well as several other awards. 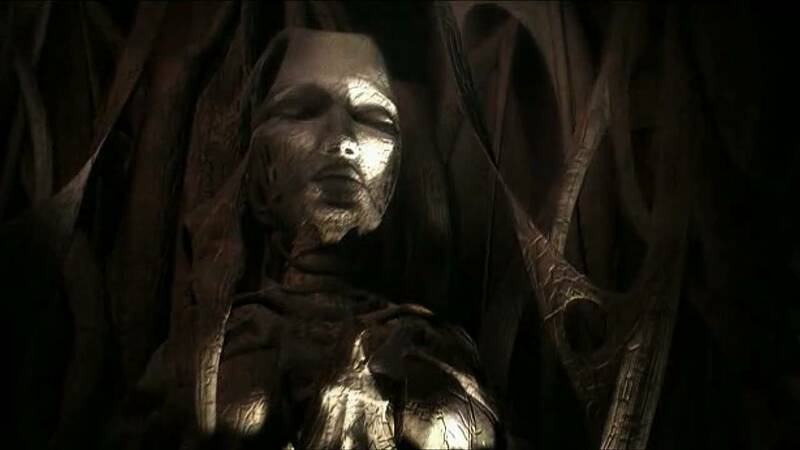 The film focuses on a man who visits a mystical, organic building that looks like a medieval cathedral. As he walks through the immense structure, the light from his torch falls upon the pillars, revealing human faces. The viewer later realizes that the faces are still alive, as several smile and open their eyes as the man walks past them. The building's nature is partially unveiled at sunrise as the blinding light enchants the visitor and causes organic branch-like structures to burst from his chest. These protrusions then become another set of pillars in the building. The film was nominated in 2002 for the Academy Award for Animated Short Film for the 75th Academy Awards. The movie won the title of Best Animated Short at Siggraph 2002 in San Antonio as well as several other awards. In May 2011, Polish Prime Minister Donald Tusk gave several gifts to American President Barack Obama for his tour in Europe, as is the custom. One of those gifts was an iPad loaded with The Cathedral.